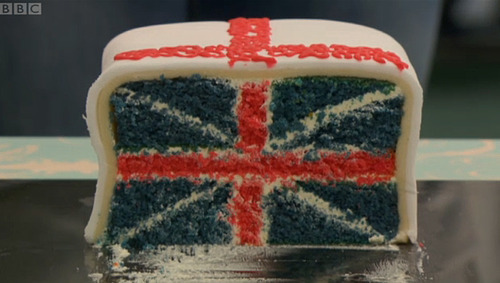 The Great British Bake-Off started its second season earlier this month and the above union jack battenburg cake has been making the rounds on the British baking (and cooking TV) blogs. I bet this cake is delish with a cup of tea! If you’re interested in making this at home, the recipe is here, courtesy of the BBC. I’ll see you back here on Monday! Posted on 30, August 2012, in Food and tagged Battenburg cake, great british bake-off, union jack cake. Bookmark the permalink. Leave a comment.